Alright, let me spill some beans. Harry Potter and the Deathly Hallows is somewhat a ‘reunion’ book. Almost all the characters from Year I (ghosts, unpopular students, even dead people) are all here. Just when you thought Dumbledore was dead (he is, actually), he’s here again. Most of the pages were filled with historical accounts and answers to intriguing questions that bothered you since Potter survived the Dark Lord’s murder. Of course, Harry is still with his best friends Ron and Hermione. But now, Harry has already come of age (17 is the wizarding community) and he can now use magic without being summoned by the ministry. The last book has darker scenes that before. Chapter after chapter, somebody dies. I personally found the whole book thrilling while imagining it as a motion picture. Here’s the catch: the ‘Boy-Who-Lived’ lives on. An epilogue entitled ‘Nineteen Years After’ was the icing on the ‘pentology.’ In here, Harry is bolder, Hermione is smarter, and Ron is wiser. For me, it was an 8 out of 10 for Rowling’s closure of the series that had me anticipating every year. I wish the movie-maker good luck in transforming this wonderful epic into a motion picture. By the way, I loved Yates’ ‘The Order of the Phoenix,’ although less talk would be better. Farewell to Hogwarts – to Gryffindor, Ravenclaw, Hufflepuff and Slytherin. I will miss the Quidditch excitement, also, the Professors at Hogwarts. And most of all, Ron, Hermione, and Mr. Harry Potter. (Now I sound like a fanatic). Far more realistic and up-to-date – Harry Potter and the Goblet of Fire made Harry and his gang fit their role and their age as well. The tagline: “Dark and difficult times lie ahead” has been very appropriate, there was a good choice of cast, a ‘Class A’ taste for costume and a definitely delicate mix of special effects. Harry’s quest to win the Triwizard Cup came out in the film the way I imagined it. Mike Newell, the new director, can make non-Potter lovers into fanatics because the film (as told in the book) now caters to a larger audience because it artistically portrayed the growing teenagers Harry, Ron, and Hermione as they faced more mature problems in life and love. I saw the film once, and I’m planning to see it again. Growing with Harry Potter is really exciting. O.W.L. – Overwhelming and Worse Long Exams. At last, the four tough days of our Preliminary Exams ended. 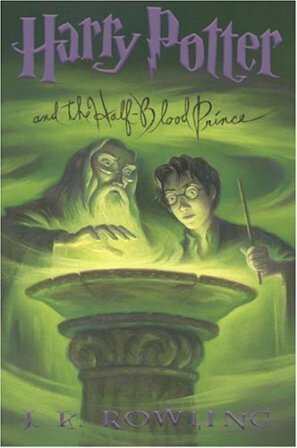 Now, it’s time for me to leave academic books (for a while) and grab my brother’s copy of J.K. Rowling’s Harry Potter and the Half-Blood Prince. I expected too much, I believe. Well, as everyone knows (even those who haven’t read the book yet) Dumbledore died! I thought the book would relieve my stress, but instead, more and more new characters were introduced. Rowling did a good job in tying up all those characters starting from Year 1 to Year 4. As usual, I hated Snape and Malfoy… and they even teamed-up in this volume (now, I wish I could use some Imperius Curse). Well, for the first few pages, my mind vividly captured the image of British Prime Minister Tony Blair as the Muggle Minister (funny eh?!). Generally, my interest was not as high compared to the time when I was reading HP 1 to 4. Anyway, I always loved Harry Potter (the story that is) which I started reading when copies hit the book store. I was in first year high school then (if my biology-terms-immensed brain serves me right). I can’t wait to see the next HP book, and the upcoming film, of course! Congratulations for getting good remarks on your O.W.L. (Ordinary Wizarding Level Exams) Potter!